Bring fun to your party! Drink two can at the same time, Regulating valves to control and close the straw, Helmet strap is adjustable, Will fit all head size securely. Make every day a lucky one with the BigMouth, Holds your drinks for you and works with cans or bottles. Fits both kids and adults. A pack contains 12 pairs of gloves in 4 assorted colors. Each pair on a card. 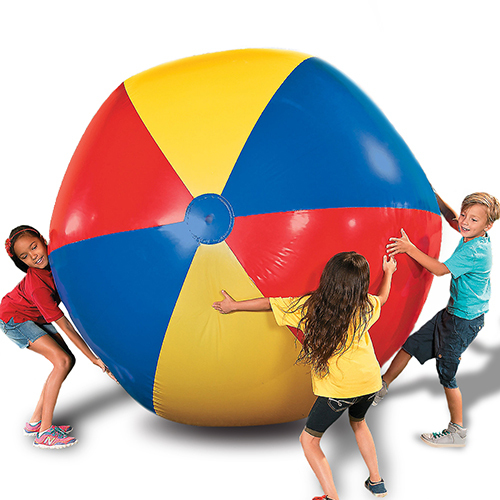 Host the most exciting pool parties and spend hours playing fun games with our giant inflatable beach balls. 18 inches diameter bowling ball and 24 inches high bowling pins. Each set contains 1 bowling ball and 6 bowling pins It is an ideal Fun Game for Kids & Adults, Family Parties & Picnics, enjoy your family time. Each inflatable football is 16 inches long. 12 inflatable footballs per pack Make fun decorations for any football event,Grab them for your next World-up party. Each inflatable ice cream is 36 inches long. 3 inflatable ice creams per pack Wanna make the party space for your party feel like summer, then take this Inflatable Ice Cream Cone to decorate.